Mock neck longsleeve team top with shoulder cutouts and keyhole back. Please list color requests below. 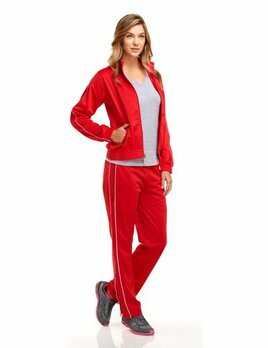 We will contact you with fabric options once you place your order. Team discounts are available for orders over 10. 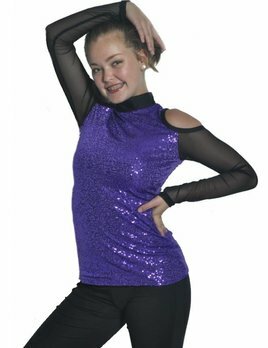 Sequin V Front Team Top. 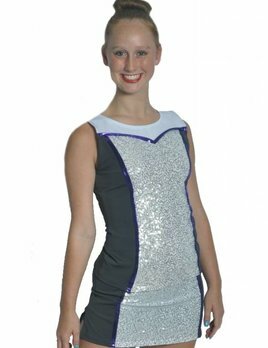 Mini Sequin top, White Dryflex Trim with Black Base. Bust is front lined. 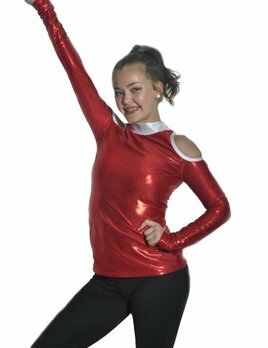 Perfect for Dance Teams and Groups. These Custom Tops are made to order, and any color combo may be requested. Please allow 2-3 weeks for delivery.